Derek: You realize there aren't ten of us. Zeke: I figured we'd each bring a sidekick. Zeke: Well, I invited Vedra, but he had other plans. I think he'll find he's still involved, though... in a sense. Vedra: *struggles with his front door* Okay, what the HELL? Kelonzi: Well, great. I guess this is what comes of associating with you. Zeke: Come on, it's just a coincidence. Zeke: "...your expertise on Buffy the Vampire Slayer." Whoa! Kelonzi: I can only assume it's about the website. I'm not a professional Buffy fan. Zeke: Interesting. It doesn't say expertise on Buffy parodies. Zeke: I didn't know you were into Buffy. IJD: No, I mean mine says "expertise on the original Star Trek." Zeke: You're an expert on the original Star Trek? Sa'ar: Mine says "expertise on Babylon 5." Zeke: When did you all switch subsites? Scooter: With "Doctor Who" in there, obviously. IJD: What about you, Derek? IJD: Okay, let's see it. Sa'ar: What about yours, Zeke? With all your subsites, it must be pretty long. Zeke: Mine just says "expertise on parodies." There's also this little superscripted question mark. IJD: So what do we do now? Sa'ar: We wait six months for you to decide? Zeke: No, I'm in one of my prompt phases. Let's talk to the other guests. Maybe if we find out what they're here for, we'll get some idea of our captors' purpose. Derek: Sounds reasonable. Let's start with this guy. Chaff: (shaking hands) Chandra Ocacokhan. My friends call me Chaff. Derek: Quite a fix we're in, eh? Chaff: I'm not too worried. It's just a door. It do what it do. Derek: So what are you an expert on? Chaff: Only the greatest sci-fi series ever made -- Battlestar Galactica! Chaff: You better frakkin' believe it! BSG is more mature and intelligent than the human race even deserves! Zeke: You don't say. Hey, there are drinks on that table. Why don't I get you one? Chaff: Now wait a minute here. IJD: (to the others) I have a feeling he'll be at this for a while. Let's go. Zeke: Go ahead, guzzle it down. Chaff: Is it my fault you don't know quality when you see it? Zeke: Oh no, I agree! That's quality Kool-Aid! Scooter: Dairy farm, huh? How's that working out for you? Scooter: Ah. So how do you cope? Farmer: Philosophy. I wear the cheese -- it does not wear me. Scooter: I don't see you wearing cheese. Scooter: Do you, in fact, have any cheese at all? Sa'ar: Oh, sorry. I don't mean to insult your pride as an astrologer. Sa'ar: Hey, what's my horoscope for today? IJD: ...just don't get a PG rating. Melissa: That doesn't make sense. IJD: Believe me, it does. So what's your name? Melissa: You're one of the polite ones. Most people ask if I said it backwards. Melissa: When I'm really just using Japanese name order, which any idiot knows is superior. Melissa: If it's good enough for the most awesome place in the world, it should be good enough for us! IJD: Pfft, watch every original Trek episode nine times and we'll talk. Melissa: Who needs that gaijin stuff? Anime has everything! Rivalries! Male bonding! Gorgeous men who look like reasonably attractive women! Melissa: Piloted by teenage boys with something to prove! IJD: You're not a big fan of female characters, are you? Melissa: *shrug* They're okay. Except love interests. They need to BURN. IJD: So... no offense, but where does the expertise come in? Melissa: Two thousand reviews on FanFiction.net can't be wrong! Derek: Say, I feel like I've met you before. Reporter: Though I end up in Hollywood half the time for some reason. Derek: You must be working for a pretty big news outlet. Reporter: ...Sure. Sure, you could say that. I mean, most people wouldn't, but you could. Reporter: I'm not getting a pretty big paycheck, is all I'm saying. Reporter: Dunno where I'd be without big fat bribes and kickbacks. Reporter: On the other hand, I do get away with some pretty ridiculous bias. IJD: What? What is it? Scooter: Did she do something? Derek: Oh, I see. (to the rather quiet-looking woman) Ma'am, did your hair by any chance fall in front of your face a minute ago? Derek: Take it easy, Zeke. She isn't the girl from The Ring. Zeke: SADAKO! I KNEW SHE WOULD COME! Sa'ar: Sorry, ma'am. He gets like this sometimes. Scooter: I would have pegged it as annoying, myself. IJD: Are there that many Ring victims around? Zeke: So... so you're not really her? Zeke: And the resemblance is a coincidence? Zeke: I'm sorry I panicked. What's your name? IJD: *turns back to the group* Whatever. Did you guys find out anything useful? IJD: Me neither. The assortment seems pretty random. Kriegsgr�ber: We must organize ourselves! We are trapped, and the murders have already begun! Sa'ar: No they haven't. Zeke's just chicken. Kriegsgr�ber: What are you talking about? The butler! The butler is dead! Kriegsgr�ber: We found his body a moment ago! He had been stabbed with his own serving tray! Scooter: Oh. I guess we weren't all rushing around for the same reason just now. Derek: Simultaneity is the scourge of mankind. IJD: Dammit! We hadn't talked to him yet! That's some perfectly good NPC dialogue lost forever. 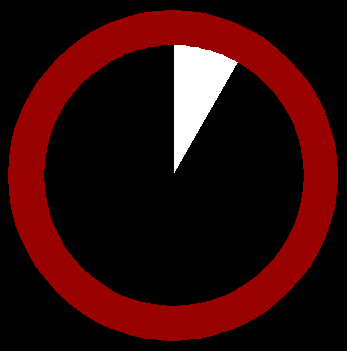 Kriegsgr�ber: Everyone, the time has come to pool our resources! Kriegsgr�ber: Information! We were all invited here for different reasons. There must be a purpose behind it. Let us find out. Sa'ar: Round-table introductions, huh? I'm Steve and I enjoy Sinatra and long walks on the beach. Kriegsgr�ber: Essentials only, please. I shall begin... I have been invited as an expert on Shakespeare. Farmer: I'm an expert on cheese. Got a comment on this part of "Ten Little Comedians"? Contact Zeke. This was originally published on June 27, 2010. DISCLAIMER: Various copyrights are violated here. We don't mean -- GAK! All material © 2010, Zeke.